When I was 6 years old, I got good and mad at my mother. I don’t even remember what I got angry about, but I kept quiet ― either that or she was intransigent on the issue. Whatever the case, I was stuck. So I waited until she and my father were out of the house for the evening, evaded the babysitter, sneaked into their room and raided Mom’s collection of wheat pennies. She had been collecting them for years and had gobs of them which she kept in a small, decorative wooden box in her dresser. I didn’t want the pennies; I wanted to deprive her of them. So once I had them in my hands, I climbed up on top of the dresser, opened the bedroom window, and pitched them all out as hard as I could. 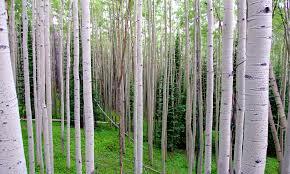 They landed up in the hilly portion of our backyard, which was thick with birch trees. Mom discovered my handiwork later that evening. Evidently, in my haste to get away from the crime scene, I left clues: a couple of pennies dropped on the sill, with the window still cracked, perhaps. Whatever those clues were, they led Mom into the backyard, where she searched the entire area on her hands and knees the following day. 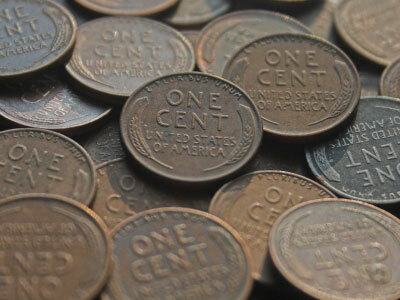 Mom has often said that she recovered only a fraction of the pennies that day. If memory serves correctly, I denied responsibility for it. It was only after I reached adulthood that I owned up to it. Occasionally, Mom would talk about the incident, her lip curling up a bit. Somehow, it had really rankled her, especially since I had denied it for so long. There is something maddening about getting hit and not even being able to identify the perpetrator with certainty. I don’t know when I came clean about it, but it had to be at least 15 years after the incident. Sometime after I acknowledged responsibility for the theft of the pennies, I made a decision: I was going to pay those pennies back no matter how long it took. I have the impression that I haven’t reached my goal yet, even though I’ve been sending Mom wheat pennies for years. There aren’t as many of them in circulation as there used to be. I sometimes go a year or two without seeing a single one. But I got lucky a few years ago. As an unexpected outcome of the Great Recession, I found myself looking for a job in Portland, Oregon and finding nothing but frustration. I had just moved here from Anchorage, Alaska. I was resolute: no matter how easy it might be to return to Alaska and find work (Alaska’s resource-based economy is well insulated from conditions in the rest of the country), I had decided to make a go of it in Portland. I had a strong new spiritual family in Teen Challenge, and I wasn’t running home. My mind was made up. I wasn’t expecting the difficulty I met with. I had a college degree, a good disposition and a strong work history. For 15 years up in Alaska, I hadn’t had to break a sweat to find work. There had been times when I had snagged lucrative jobs over the phone. But now it seemed I couldn’t even get employers to acknowledge my existence. Finally, after two months of searching, I got a job ― as a concession store clerk, of all things. 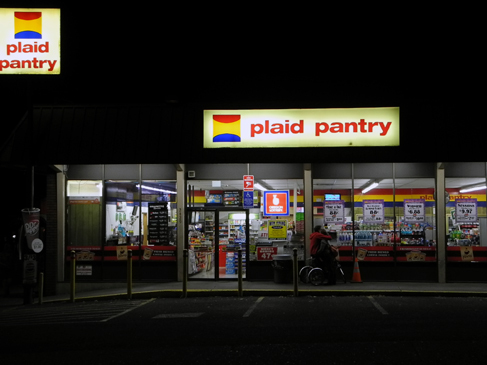 I was hired to work the graveyard shift five nights a week at the Plaid Pantry on 21st and Powell Street. The job yielded some amazing experiences, about which I’ve written a few Muse articles. Many unexpected things came my way. Now that I was a cashier at a convenience store, all kinds of change went through my hands. I was careful to go through all my pennies every time I worked a shift. 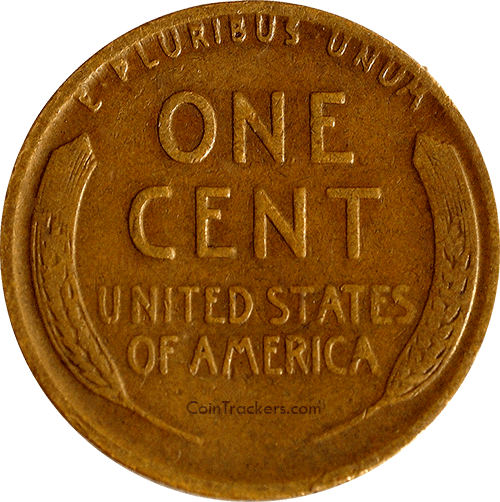 The wheat pennies (which Mom and I used to call “the one-cent ones”) rolled in. Every time I got one, I mailed it to Mom, who stayed in Alaska for another three years. It gave me a good reason to send her more regular letters, and she’s got a fair pile of them now. I just mailed her another one last week, along with a greeting card. I enjoy sending snail mail to friends and family members, even if we live in the same town. Thanks to the Internet, it’s an ever-more powerful way to say, “I care.” No one sends snail mail anymore. But I do. And besides, I still have to finish paying off my wheat penny debt. This entry was posted in Amends and tagged amends, anger, caring, contrition, debts, family, forgiveness, relationships, restitution, snail mail, sorrow, wheat pennies. Bookmark the permalink. I can relate to this post. Before I started school, I stabbed the backs of all four chairs in Mother’s brand new dinette set, completely ruining the vinyl upholstery. I did it out of pure malice because she would not allow me to go next door to the neighbor’s house with her and Daddy. It broke her heart. She sobbed and sobbed. We were a poor pastor’s family, and we used those chairs, with silver duct-tape patches, until after I graduated from high school. Often, I would notice the patches and writhe with guilt. She had long ago forgiven me, but the scars were still there on the chair for me to see that some sins can’t be undone–only forgiven. Thank God, I found forgiveness for all my sins at age 19. Thanks for sharing this, Libby. Thank God indeed for his forgiveness and for the reconciliation we enjoy with our family members. Often, relationships are mended only because we practice the forgiveness horizontally that we learned vertically through the Cross. I have been blessed on top of all that, with a family that sticks together, even though not all of us are believers. Hope to see you again sometime, Libby!